Both Taiwan Human Rights and Cultural Association and Taiwan Association for China Human Rights would like to send our appreciation to the Chairman and other Committee members for convening the hearing entitled “the Promise of the Taiwan Relations Act” on March 14, 2014 and unanimously passing the resolution H.R. 494. In the hearing, the House Foreign Affairs Committee stated their expectation in the US State Department and their request for Taiwan authorities. It clearly shows that the Taiwanese most respected Chairman and other Committee members have strong understanding and caring Taiwan affairs under the structure of Taiwan Relations Act (TRA). We sincerely respect and appreciate what you have done for Taiwan. The Taiwanese will forever remember your justice concern in connection with disadvantaged Taiwan by those remarks you stated below on the instant attention for Taiwan. As you can see there is tremendous bipartisan support for Taiwan and it is my sincere hope that the Administration would take a more proactive stance on Taiwan, including working with Taiwan so that it can join the TPP. The Asia Pacific region is going to witness a significant growth in economics and prosperity in the next 10 years, and positioning the US, we are, after all, all on the Pacific Rim, with this opportunity is a task that we take very seriously on this committee. And as the Chairman of this committee, I’ve made the Asia-Pacific region a top priority, so I look forward to work closely with the Administration on this and other issues. In addition, the Chairman Ed Royce and Mr. Engel submitted the H. Res. 494 resolution in the House of Representatives affirming the importance of Taiwan Relations Act (TRA) on March 25, 2014. In the meeting, Mr. Alan Grayson (Florida) stated, “we should support, and we should continue to support the desire of the Taiwanese to be a free and separate state—not being part of—or absorbed by the larger country, its neighbor, China. 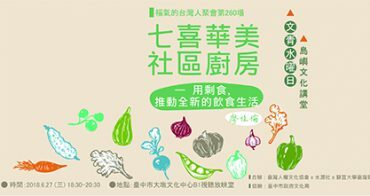 There are 20 million plus Taiwanese who have a separate culture, in many cases, separate language. It certainly has a separate history, having been occupied by the Japanese for over a half of a century. The Taiwanese are fundamentally different and recognize themselves as fundamentally different from their larger, in fact, 100 times larger neighbor. Therefore, we can, and should support their desire for self-determination. We’ve done so going back to the 1940s, and I think we should continue to do so. It is possible for Taiwan to be free and independent. It is possible for us to make that happen. And I think we should continue to do so.” Your remarks really point out the profoundly common hope of the Taiwanese generations. We have translated into Chinese your precious remarks in both the hearing and the HR 494 resolution with a view to make the Taiwanese understand your sincere and justice caring by making copies, uploading to Youtube, posting on many websites and spreading to as many viable media as possible. In this US TRA 35th anniversary symposium, we have invited experts, scholars, think tank researchers, and media workers to respond to the hearing you convened on March 14. Those youths, not born in the year when TRA was effective, starting the Sunflower movement are also invited. We will let the Taiwanese clearly understand that when China intents to conspire with some people in Taiwan to try to annex Taiwan through any peaceful or non-peaceful means, there is probably only the US 【the State of God 】 in the whole world will help Taiwan while the Taiwanese have fought bravely with weapons for the existence of TRA enacted by the US. The Taiwanese will continuously urge the Taiwan governing authorities to increase national defense budget and encourage the Taiwan’s youths to attend the military schools and to serve in the military in order to display the determination of defending their homeland. 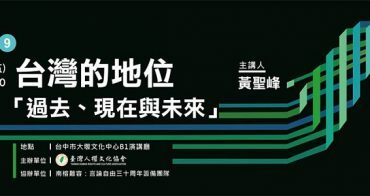 Both Taiwan Human Rights and Cultural Association and Taiwan Association for China Human Rights will hold a TRA anniversary symposium or the U.S.-Taiwan relationship symposium every year on April 10 of TRA’s completing its legal procedure. We hope to invite our respected Chairman and committee members to discuss and exchange views on the April 10, the TRA 36th anniversary, next year. Through the direct communication between the U.S. 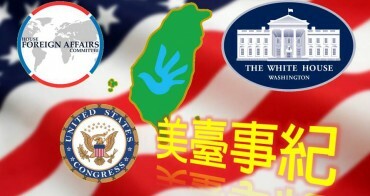 Congressmen and the Taiwanese people, not only the Taiwanese can express their appreciation and respect but also the U.S. Congressmen can show their friendship and care for the Taiwanese.